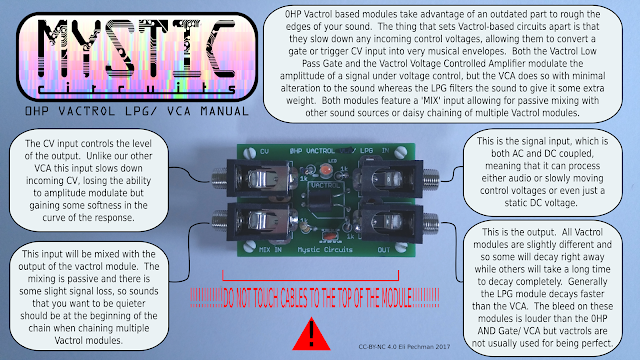 0HP Vactrol based modules take advantage of an outdated part to rough the edges of your sound. 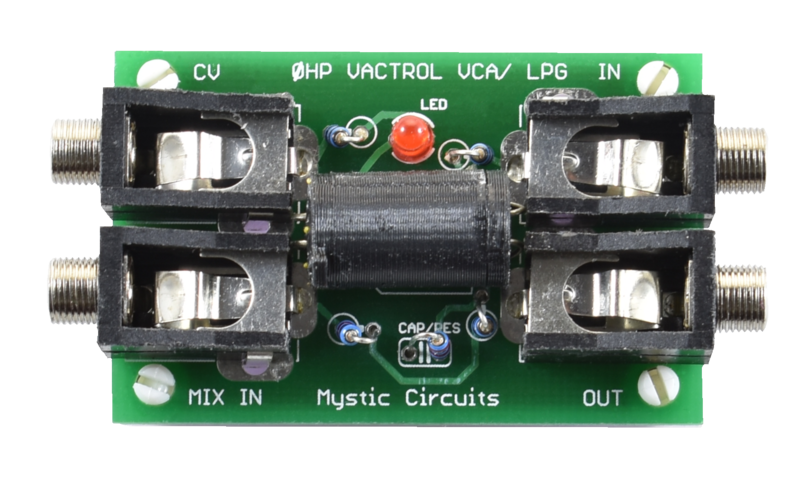 What sets Vactrol-based circuits apart is that they will slow down any incoming control voltages, allowing them to convert a gate or trigger CV input into very musical envelopes. Both the Vactrol Low Pass Gate and the Vactrol Voltage Controlled Amplifier modulate the amplitude of a signal under voltage control, but the VCA does so with minimal alteration to the sound whereas the LPG filters the sound to give it some extra weight. Both modules feature a 'mix input' allowing for passive mixing with other sound sources or daisy chaining of multiple Vactrol modules. Please note that all Vactrols are unique snowflakes and as such each module will have a different response curve.